Read excerpt from right to left. The reason you'll either pay $12.95 or snort in contempt at the ones who do. 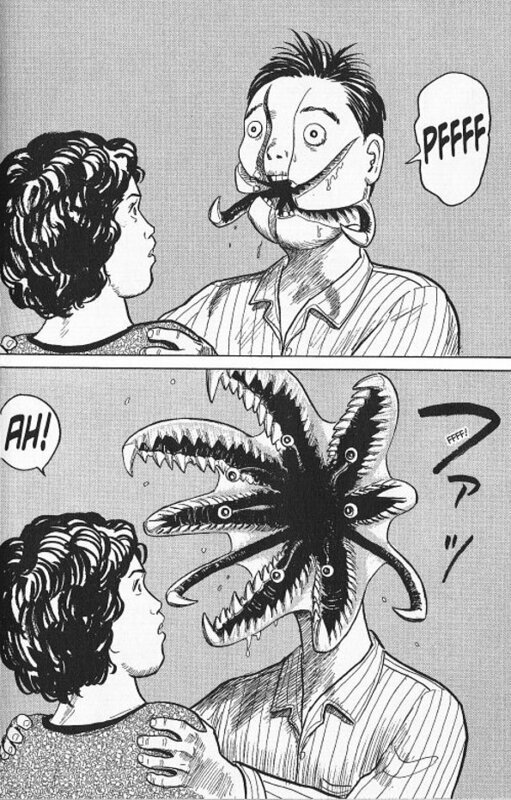 Sequence from Parasyte Volume 1, ©1990 Hitoshi Iwaaki, English translation ©2007 Hitoshi Iwaaki. With that, you now know enough to pick pretty much any random chapter of Parasyte and start reading. There is, as Joe Bob Briggs used to say, no plot to get in the way of the story. Read excerpt from right to left. 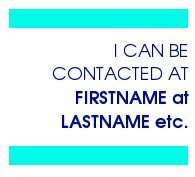 Oh, hey, who wouldn't be? 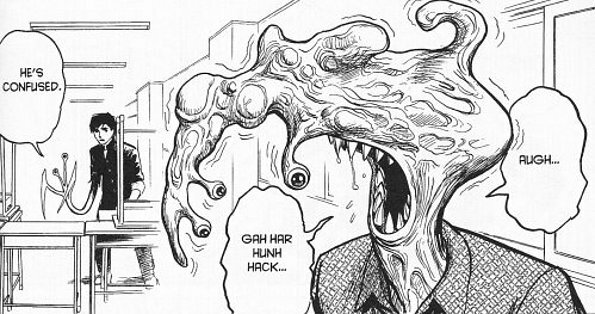 Panel from Parasyte Volume 1, ©1990 Hitoshi Iwaaki, English translation ©2007 Hitoshi Iwaaki. Goodness knows it's no highwater mark in cartooning. The art and storytelling are both serviceable but not particularly inspired, and characterization is two-dimensional at best. Figures are wooden, facial expressions are limited (see the woman in the first illustration, above), there's little-to-no body language and the fight scenes have no flow whatsoever. In this opening volume, Hitoshi Iwaaki clearly knows just enough about narrative drawing to present a somewhat clunky vision of people eating breakfast, going to school, walking around town and getting eaten by freakish monstrosities... and very little else. Having not seen anything beyond the first volume, I can't tell you whether the craftsmanship improves in future collections, but then I'm not really sure that it matters. Calling this series mindless is apt but beside the point. It exists to provide you with your minimum daily requirement of weird shapechanging violence, and in this respect Parasyte gets the job done. You'll either think this sort of thing is way cool, or you'll spend a few minutes wondering whatever possessed you to pick up such a lame book and chuck in the used-bookstore pile with the intent of getting a little credit later for something better. If you think you're likely to be in the latter camp, avoid this book; if you think you'll be in the former, you'd have probably bought it regardless of what you read here. Like I said, this one's basically critic-proof. This essay appeared on the then-website of The Comics Journal sometime between 2006 and 2008.